12) O.Gulpinar, A.H.Haliloglu, M.I.Gokce, N.Arikan,” instillation of hyaluronic acid via electromotive drug administration can improve the efficacy of treatment in patients with interstitial cystitis/painful bladder syndrome: A randomized prospective study. Korean J Urol 2014 May;55(5):354-9. 13) S. Tangal, M.I.Gokce, A.Ozayar, B.Gulpinar, A.H.Haliloglu, B.Burgu, E.Ozdiler “ Evaluation of a new ultrasound measurement tool for the diagnosis of dysfunctional voiding in pediatric population: full/empty bladder Wall thickness ratio. Urology 2014 Jun;83(6): 1369-72. 14) A.H.Haliloglu, S. Tangal, O. Gulpinar, K.Onal, R.Pabuccu “ Should repeated TESE be performed following a failed TESE in men with Klinefelter Syndrome? Andrology. 2014 Jan; 2(1):42-4. 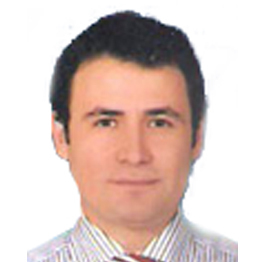 16) O.Gulpinar, E.Suer, M.I.Gokce, A.H.Haliloglu, E.Ozturk, N.Arikan “Functional outcomes and long-term durability of artificial urinary sphincter application: review of 56 patients with long-termfollow-up. Korean J Urol 2013 Jun;54(6): 373-6. 17) E.Suer, C.Ozcan, S.Baltaci, O.Gulpinar, B.Burgu, A.Haliloglu, Y.Beduk, “Time between first and second transurethral resection of bladder tumors in patients with high-grade T1 tumors: is it a risk factor for residual tumor detection? Urol Int 2013;91(2):182-6. 18) C.Cakici, B.Buyrukcu, G.Duruksu, A.H.Haliloglu, A.Aksoy, A.Isık, O.Uludag, H.Ustun, C.Subasi, E.Karaoz. “ Recovery of fertility in azoospermia rats after injection of adipose- tissue-derived mesenchymal stem cells: the sperm generation. Biomed Res Int 2013: 529589. 19) Z.K.Bengisun, P.Ekmekci, A.H.Haliloglu, “ Levobupivacaine for postoperative pain management in circumcision : caudal block or dorsal penile nerve block. Agri 2012;24(4):180-6.